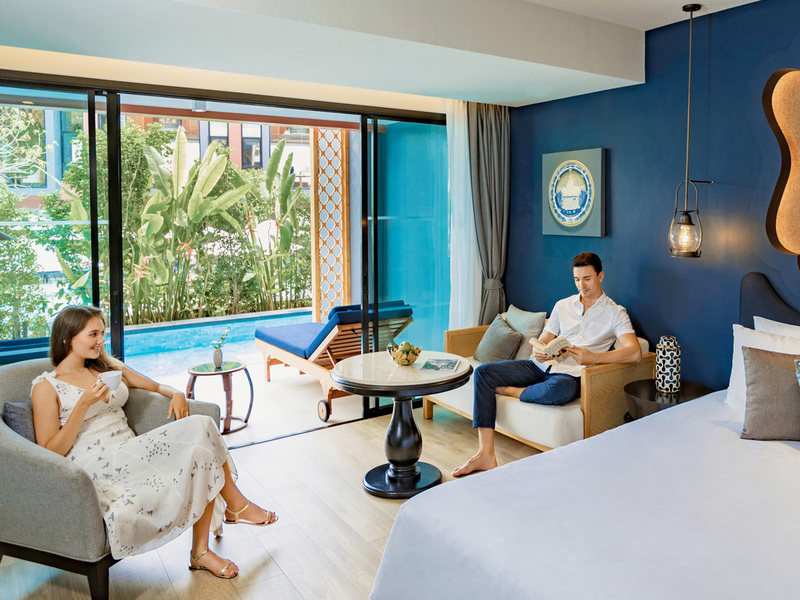 Nestled between Phuket's spectacular white-sand Karon Beach and the island's lush green moutains, Avista Grande Phuket Karon, MGallery by Sofitel celebrates the richness cultural history with a blend of modern luxury and old-world enchantment. Ease into a cooling free-form pool. Refresh at a calming spa. Stroll the pristine sands of Karon Beach before enjoying nightlife in nearby Patong. Each evening, a modern room or suite envelops you with impeccable design and sophisticated style. During your stay, we invite you for a memorable moment with a timeless voyage through Phuket's old heritage. Discover Phuket Town and Thai Hua Museum which depicts the ancient province. Runchat Korawit, our Executive Chef, crafted an exclusive menu inspired by the heritage of Phuket at our Sino-Portuguese restaurant, PORTOSINO. Avista Grande Phuket Karon is near the city centre of Kata, with Karon beach only 1 km away. Attractions include Phromthep Cape Viewpoint which is 11.9 km away, Phuket Fantasea which is 22 km away, Juceylon Shopping Mall which is 8.7 km away and Phuket Town which is 16 km away. Phuket International Airport is 47 km away, 90 minutes by car. Luxuriate in bright, modern spaces that soothe the senses with light-colored wood and flowing Sino-Portuguese patterns. Nods to Phuket's mining heritage, like tin lamps, mix with rich European furnishings. Look out over a placid pool, green mountains or a turquoise sea for equally impressive views. 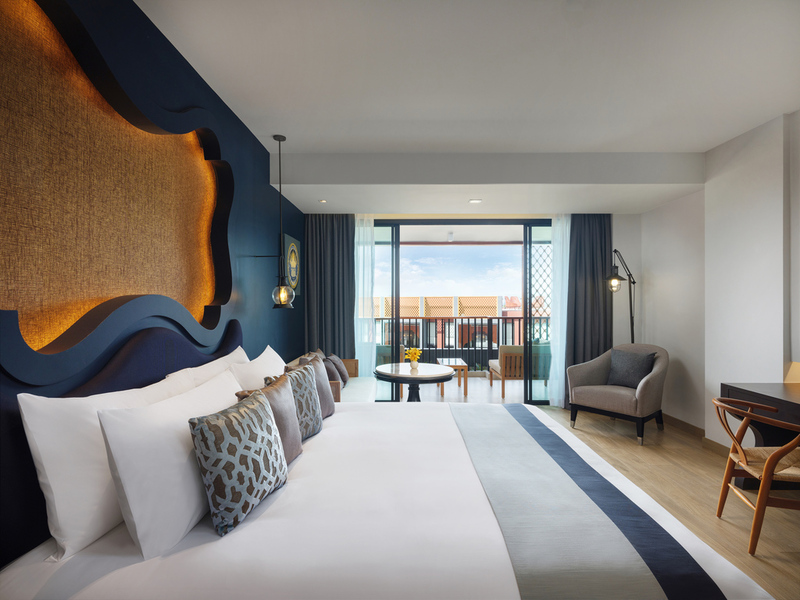 Cozy and elegant room with a King Size bed overlooking the mountain featuring Sofitel MyBed and MGallery amenities (53m²). 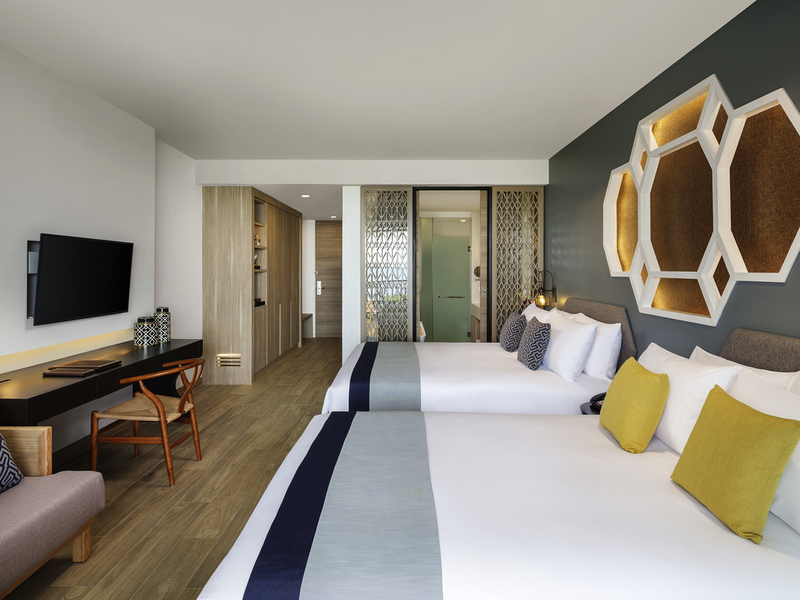 Cozy and elegant room with two double beds overlooking the mountain featuring Sofitel MyBed and MGallery amenities (53m²). 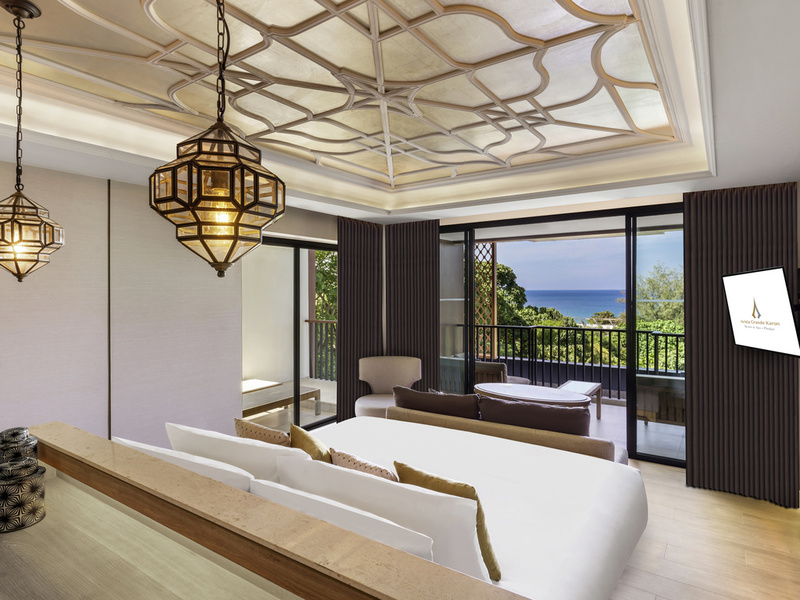 An impressive view of the Andaman Sea to admire Phuket's sunset in a Sino-Portuguese Design atmosphere with a King Size bed, featuring Sofitel MyBed and MGallery amenities (53m²). 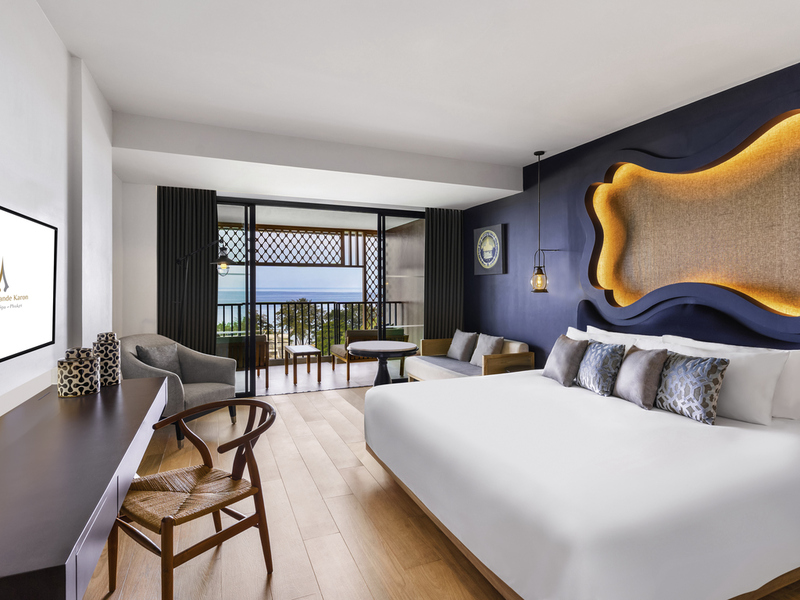 Luxurious and modern design with a direct pool access offering a spectacular view either of the Mountain or the Andaman Sea, featuring Sofitel MyBed and MGallery amenities (65m²). An exclusive luxurious temple of relaxation in a Sino-Portuguese Design featuring a shower, a bathtub and a private Jacuzzi with Garden or Sea view, featuring Sofitel MyBed and MGallery amenities (65m²). Spacious and elegant room with balcony offering a breathtaking Sea View. The ultimate luxury experience appointed with Sofitel MyBed and MGallery amenities (105m²). Care to enjoy gourmet cuisine in the privacy of your room? Call 24-hour room service. From steaks and seafood to tapas and other light bites, the in-room dining menu is sure to please your palate.